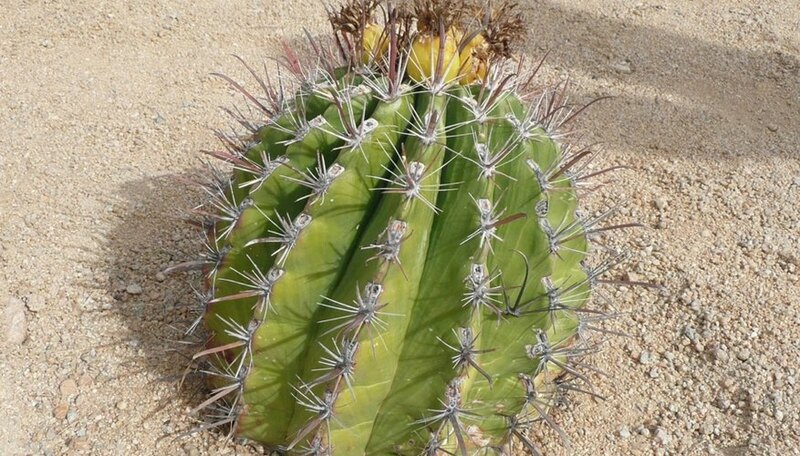 Barrel cactus plants are shaped as the name implies, stout and fat with thick ridges that ascend in a slight spiral toward the crown. They sport long, slightly hooked spines and in spring burst forth with plump, yellow fruit shaped like tiny pineapples. Like many desert specimens, they adapt well to harsh conditions and can sometimes be found hiding beneath shady desert scrub.